DELTA II HATCHBACK (836). 1.8 i.e. 16V. IF YOU NEED OVERSIZE RINGS. THE PRICE IS FOR 4 CYLINDERS. Layout 1.19mm x 1.20mm x 2.00 mm. BORE - 82.00 mm. 1600, 2000, 2.0 i.e, 2.0 i.e Turbo Integrale, 1.6 GT i.e., 2.0 16V HF INTEGRALE, 2.0 HF INTEGRALE, 1.6 i.e., 1.6 i.e. SUPER, 2000 i.e. 16V. LANCIA - 828 B.000, 828 B1.000, 831 B4.000, 831 B7.000, 834 B.146, 831 C5.000, 831 B5.000, 831 D5.000, 834 B.048, 834 B1.000, 834 B2.246, 834 B.000, 834 C.000, 834 C.146, 835 A5.046, 835 A7.000, 835 A7.046, 828 B4.000, 149 C2.000, 834 B2.000, 835 A5.000. Wiseco Pistons. Upon receipt of your order you will be asked to sign for the goods received in good condition. Failure to do so may affect any warranty claims that you make there after. Pin Size: 22mm. Genuine OEM Lancia Delta 16v Integrale & Evo. Connecting Rod. Ensure Engines & Gearboxes are filled with correct oils to the correct levels. Ensure all goods are checked thoroughly before you sign for them. LANCIA DELTA Mk3 2.0D Piston 2008 on 4241833RMP Engine Nural. Function Piston. LANCIA DELTA III (844_) 2.0 D Multijet Hatchback Diesel 09/2008 08/2014 FWD 16 163 120. LANCIA DELTA III (844_) 2.0 D Multijet Hatchback Diesel 09/2008 08/2014 FWD 16 165 121. Lancia Delta Integrale HF 2.0 L 16V 7.5: 1 Wiseco forjado pistones. Pistones Wiseco. Los gastos de envío no son reembolsables. No hacerlo puede afectar a cualquier garantía que se haga después. KE218M845 - 84,50 mm. LANCIA DELTA Mk3 2.0D Piston 2008 on 4241977RMP Engine Nural. Function Piston. LANCIA DELTA III (844_) 2.0 D Multijet Hatchback Diesel 09/2008 08/2014 FWD 16 165 121. LANCIA DELTA III (844_) 2.0 D Multijet Hatchback Diesel 09/2008 08/2014 FWD 16 163 120. Lancia Delta Integrale HF 2.0 L 16V 8.5: 1 Wiseco forjado pistones. Pistones Wiseco. Los gastos de envío no son reembolsables. No hacerlo puede afectar a cualquier garantía que se haga después. KE219M85 - 85.00 mm. LANCIA DELTA Mk II (836_) 1.9 TD (836AM, 836AN) Hatchback Diesel 10/1994 08/1999 FWD 8 90 66. LANCIA DELTA (831_) 1.9 Turbo DS (831AB.021) Hatchback Diesel 10/1986 12/1989 FWD 8 80 59. LANCIA DEDRA SW (835_) 1.9 TDS (835EE, 835EF) Estate Diesel 07/1994 07/1999 FWD 8 90 66. Forged Performance Pistons. LANCIA DELTA HF INTEGRALE 16V. LANCIA DELTA EVO integrale 2.0. Specialists Pistons. MVPistons forged. LANCIA HF TURBO 1.6. CONSTRUCTION OF PISTONS FOR SAMPLE. MV pistons also feature a unique graphite based coating on the skirts which aids the bedding in procedure. Set 4 forged 4340 Bielas Varilla Cojiente Connecting Rods conrod para Fiat Abarth 131 2.0 8V Rally ARP 2000 bolts crank bielle. 4 x steel connecting rod H-Shaft format. for Fiat Lancia Delta 2.0 16v Turbo. For Alfa 155 Q4 2.0 16v. 4 x steel connecting rod H-Shaft format. for Fiat Lancia Delta 2.0 16v Turbo. √ All large and small connecting rod eyes are manufactured by SUNNEN honing machine. for Fiat 131 Abarth. For Fiat 131 Abarth. 4 x steel connecting rod H-Shaft format. 4 pcs Connecting Rods Forjados 4340 Bielas para Alfa Twin Spark 75 2.0 ARP 2000. √ All large and small connecting rod eyes are manufactured by SUNNEN honing machine. For Alfa 155 Q4 2.0 16v. Bolts: Authentic 5/16 "ARP 2000 bolts included (note: Extra cost to upgrade to ARP L19 bolts). 1 x set of ARP 2000 5/16 bolts. 4 x steel connecting rod H-Shaft format. for Fiat Lancia Delta 2.0 16v Turbo. For Fiat 131 Abarth. 4 x steel connecting rod H-Shaft format. for Fiat Lancia Delta 2.0 16v Turbo. √ All large and small connecting rod eyes are manufactured by SUNNEN honing machine. for Alfa 155 Q4 2.0 16v. Title: set 4 forged 4340 Bielas Varilla Cojiente Connecting Rods conrod para Fiat Abarth 131 2.0 8V Rally ARP 2000 bolts crank bielle. 4 x steel connecting rod H-Shaft format. for Fiat Lancia Delta 2.0 16v Turbo. 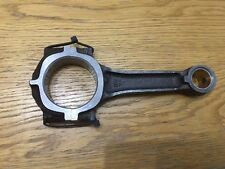 Bielas para Fiat Abarth 131 2.0 8V Rally H beam Connecting Rods. Bolts: Authentic 5/16 "ARP 2000 bolts included (note: Extra cost to upgrade to ARP L19 bolts). for Fiat 131 Abarth. 1 x set of ARP 2000 5/16 bolts. (FIAT TEMPRA (159_) 1.9 TD (159. BI) Saloon Diesel 05/1990 08/1996 FWD 8 90 66. FIAT TEMPRA S.W. (159_) 1.9 TD (159. AU) Estate Diesel 07/1991 02/1995 FWD 8 90 66. AQ) Saloon Diesel 07/1992 08/1996 FWD 8 80 59. Part Manufacturer:KOLBENSCHMIDT 800075410000. BODY STYLE. WE ARE OPENED MON. FIAT DUCATO Nadwozie pełne (250_, 290_) BOX 115 MULTIJET 2,0 D 116 HP 250 A2.000, 250 A1.000 2011.06-. The faster, safer way to send money. PIEZAS AUTOMOTRICES DE ALTA CALIDAD. Busques lo que busques, tenemos la solución perfecta. LANCIA THEMA SW (834_) FURGON 2000 TURBO 16V (834GC, 834FC) 201 CV 834 F2.000 1992.11-1994.07. LANCIA THEMA SW (834_) FURGON 2000 16V (834FA) 152 CV 834 F1.000 1992.05-1994.07. For Fiat 131 Abarth. Bolts: Authentic 5/16 "ARP 2000 bolts included (note: Extra cost to upgrade to ARP L19 bolts). 4 x steel connecting rod H-Shaft format. 1 x set of ARP 2000 5/16 bolts. √ All large and small connecting rod eyes are manufactured by SUNNEN honing machine. For Fiat 131 Abarth. 4 x steel connecting rod H-Shaft format. √ All large and small connecting rod eyes are manufactured by SUNNEN honing machine. for Fiat Lancia Delta 2.0 16v Turbo. Asegúrese de que usted ha leído toda la lista y preste atención a la nota y noticia. Set 4 forged 4340 Bielas Varilla Cojiente Connecting Rods conrod para Fiat Abarth 131 2.0 8V Rally ARP 2000 bolts crank bielle. Bolts: Authentic 5/16 "ARP 2000 bolts included (note: Extra cost to upgrade to ARP L19 bolts). Set 4 forged 4340 Bielas Varilla Cojiente Connecting Rods conrod para Fiat Abarth 131 2.0 8V Rally ARP 2000 bolts crank bielle. for Alfa 155 Q4 2.0 16v. for Fiat 131 Abarth. for Fiat Lancia Delta 2.0 16v Turbo. Bolts: Authentic 5/16 "ARP 2000 bolts included (note: Extra cost to upgrade to ARP L19 bolts). Biela Varilla Cojiente Connecting Rods para Fiat Abarth 131 2.0 8V Rally ARP2000. for Fiat 131 Abarth. 1 x set of ARP 2000 5/16 bolts. Biela Varilla Cojiente Connecting Rods para Fiat Abarth 131 2.0 8V Rally ARP2000. Bolts: Authentic 5/16 "ARP 2000 bolts included (note: Extra cost to upgrade to ARP L19 bolts). for Fiat 131 Abarth. 1 x set of ARP 2000 5/16 bolts. Part Manufacturer:MAHLE 009 44 N0. BODY STYLE. WE ARE OPENED MON. The faster, safer way to send money. LANCIA Y (840_) HATCHBACK 1.4 12V (840AB) 80 HP 840 A2.000 1996.10-2003.09. LANCIA Y (840_) HATCHBACK 1.4 12V (840AC) 75 HP 840 A4.000 1996.03-2003.09. Fabricante de piezas:MAHLE 009 32 N0-4. PIEZAS AUTOMOTRICES DE ALTA CALIDAD. Busques lo que busques, tenemos la solución perfecta. LANCIA LYBRA SW (839_) FURGON 1.6 16V (839BXA1A) 103 CV 182 A4.000 1999.07-2005.10. PIEZAS AUTOMOTRICES DE ALTA CALIDAD. Busques lo que busques, tenemos la solución perfecta. LANCIA LYBRA SW (839_) FURGON 1.8 16V (839BXB1A, 839BXG1A) 131 CV 839 A4.000, 839 A7.000 1999.07-2005.10. LANCIA LYBRA SW (839_) FURGON 2.0 20V (839BXH1A) 150 CV 185 A8.000 2000.09-2005.10. 7729446 SEMICUSCINETTO-0,508 FIAT CROMA-TIPO-TEMPRA LANCIA DEDRA-DELTA-THEMA. FIAT - MZ CROMA CHT FL.90 (1990-1992). FIAT - MY CROMA IE-IE TB. FL.90 (1990-1996). LANCIA - RY DEDRA BENZINA (1989-1994). FIAT 1.6 1. 7 1.8 2.0. PISTON RING SET. Bore – 84.00 mm. RING DETAILS. 834B.048 834B.146. 154C3.046 154C4.046. 154A.048 154A1.000. Fabricante de piezas:MAHLE 009 32 N0. PIEZAS AUTOMOTRICES DE ALTA CALIDAD. Busques lo que busques, tenemos la solución perfecta. LANCIA LYBRA SW (839_) FURGON 1.6 16V (839BXA1A) 103 CV 182 A4.000 1999.07-2005.10. Fabricante de piezas:GOETZE 0878680000. PIEZAS AUTOMOTRICES DE ALTA CALIDAD. Busques lo que busques, tenemos la solución perfecta. LANCIA LYBRA SW (839_) FURGON 1.6 16V (839BXA1A) 103 CV 182 A4.000 1999.07-2005.10. OPEL 55565855. Function Piston. Recess Depth 1 15.800 mm. Compression Height 43.630 mm. Engine Code: 844 A2.000. Engine Code: 939 B4.000. Engine Code: 940 A8.000. Engine Code: 940 A7.000. PIEZAS AUTOMOTRICES DE ALTA CALIDAD. Busques lo que busques, tenemos la solución perfecta. LANCIA PRISMA (831_) SEDAN 1.9 DIESEL 65 CV 831 D.000 1983.01-1992.02. LANCIA PRISMA (831_) SEDAN 1.9 TURBO DIESEL 80 CV 831 D1.000 1985.05-1989.12. If the item is used, we are unable to accept the goods back. 17,000 positive. MAINLAND -24 HRS. (incl: NORWAY & SWITZERLAND). Length [mm]: - 72,6. Compression Height [mm]: - 46,63. Bore O [mm]: - 83. The faster, safer way to send money. SAAB 9-5 (YS3G) SALOON 2.0 TID 160 HP A 20 DTH 2010.05-2012.01. OPEL ZAFIRA TOURER C (P12) MPV 2.0 CDTI 110 HP A 20 DTL 2011.10-. OPEL ZAFIRA TOURER C (P12) MPV 2.0 CDTI 165 HP A 20 DTH 2011.10-. Fabricante de piezas:GOETZE 0878370000. PIEZAS AUTOMOTRICES DE ALTA CALIDAD. Busques lo que busques, tenemos la solución perfecta. LANCIA DELTA II (836_) LIFTBACK 1.6 I.E. (836AD) 75 CV 835 C1.000 1993.06-1999.08. Fabricante de piezas:GOETZE 0811800600. PIEZAS AUTOMOTRICES DE ALTA CALIDAD. Busques lo que busques, tenemos la solución perfecta. LANCIA LYBRA SW (839_) FURGON 1.8 16V (839BXB1A, 839BXG1A) 131 CV 839 A4.000, 839 A7.000 1999.07-2005.10. Bielas Connecting Rods para Fiat Abarth 131 2.0 8V Rally H beam Conrods ARP2000 bolts forged 4340 crank. for Fiat 131 Abarth. Bolts: Authentic 5/16 "ARP 2000 bolts included (note: Extra cost to upgrade to ARP L19 bolts). Fabricante de piezas:GOETZE 0878360000. PIEZAS AUTOMOTRICES DE ALTA CALIDAD. Busques lo que busques, tenemos la solución perfecta. ZASTAVA YUGO FLORIDA LIFTBACK 1.4 71 CV 160 A1.000 1988.10-1995.06. ZASTAVA YUGO FLORIDA LIFTBACK 1.4 CAT 71 CV 160 A1.000 1988.10-2008.11. Cylinder Bore [mm]: - 83,00. Machined: - with cut-out for oil jet. If the item is used, we are unable to accept the goods back. MAINLAND -24 HRS. (incl: NORWAY & SWITZERLAND). Length [mm]: - 72,630. Compression Height [mm]: - 46,630. Set 4 forged 4340 Bielas Varilla Cojiente Connecting Rods conrod para Fiat Abarth 131 2.0 8V Rally ARP 2000 bolts crank bielle. for Fiat 131 Abarth. 4 x steel connecting rod H-Shaft format. √ All large and small connecting rod eyes are manufactured by SUNNEN honing machine. PISTON RINGS SET. RINGS DETAILS. Price is For 4 cylinders. Bore – 82.00 mm. Belt Tensioner Wheels & Bkts. Suspension Ball Joints. Windscreen Wiper Blades. Rear Lights. Front Exhausts Cats. Recess Depth 1 [mm]: 15.8. Estimates can be provided beforehand but prices may differ upon ordering.